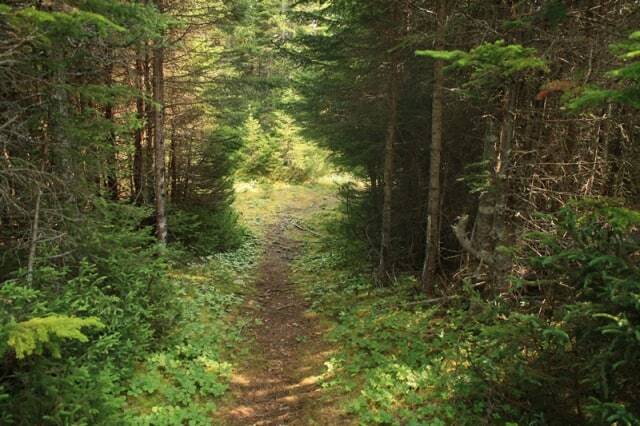 Ocean View Walking Trail is located in the small town of Jackson's Cove, Nfld, Canada. Well worth the day trip from Baie Verte. 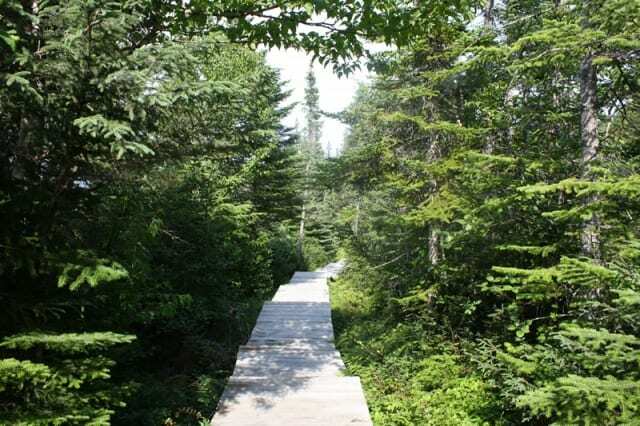 The 5 kilometre dirt and boardwalk trail provides some stunning coastline views leading to 3 lookouts overlooking Green Bay and some rock formations including the "Arch" which is another word for the "Hole-in-the-wall". What are the Top Things To Do, Activities, and Adventures enjoyed at the Ocean View Walking Trail? Ocean View Walking Trail adventures, and activities most enjoyed includes hiking, sightseeing, birdwatching (birding) and iceberg and whale watching (depending on season). 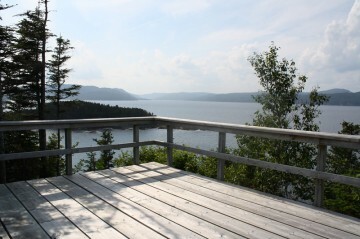 Why Ocean View Walking Trail near Jackson's Cove, NFLD? Because, our breathe was taken away by the views, and not by the hike. 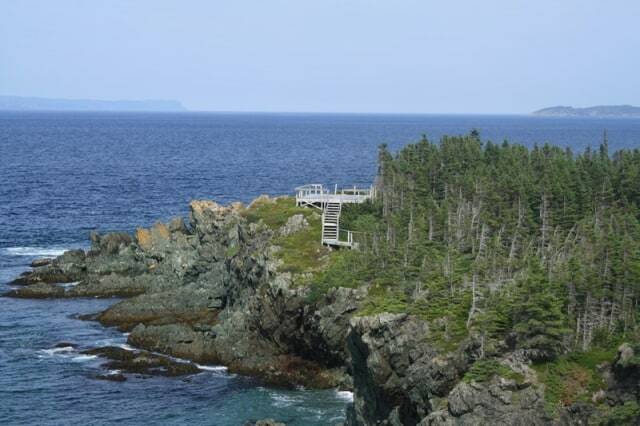 It is a fairly easy route, with some stairs, connecting to 3 lookouts providing some great rugged coastline views. Bring a camera. 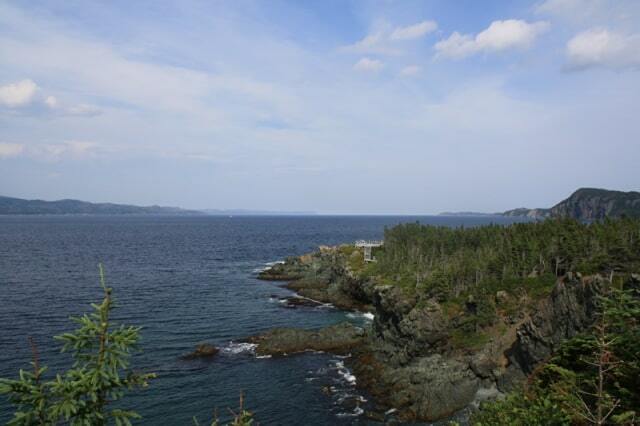 What are the features, and amenities provided on the Ocean View Walking Trail? The more important, some would say only, features, amenities, services located in and around the Ocean View Walking Trail includes trail sign, lookouts, boardwalk, and parking. There are no services here so prepare properly. 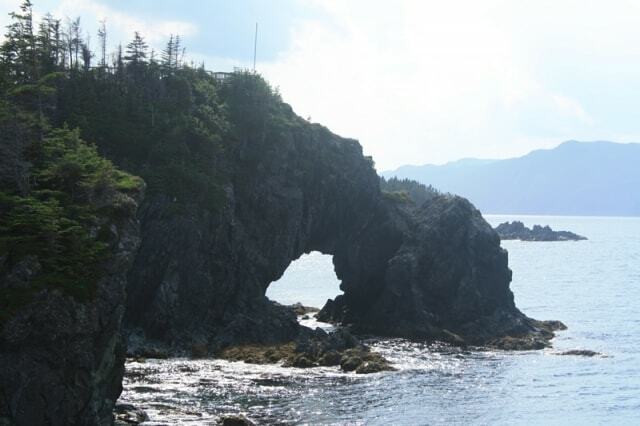 How to Get Here: From downtown Baie Verte, Newfoundland, Canada it is a 118 kilometre (1 hour, 32 minute) drive south on Highway #410, then northwest on highway 391 until you take a left to Jackson's Cove and the Ocean View Walking Trail site.